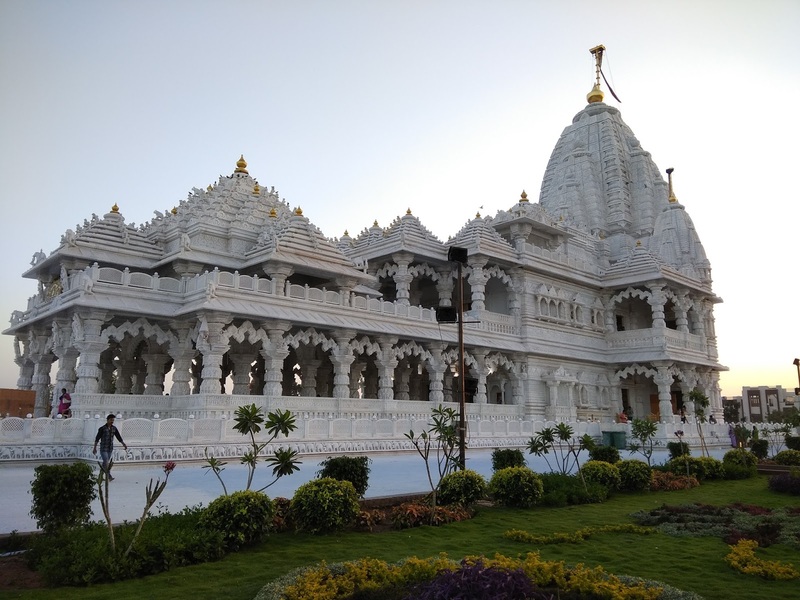 Mount Abu is a famous place and the only Hill station of Rajasthan in Sirohi District.Achaleshwar Mahadev Temple is located just outside the Achalgarh Fort in the village, Achalgarh, 11km away from Mount Abu towards north. 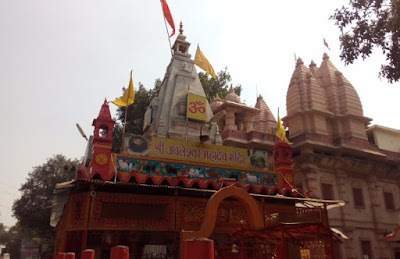 Here is Information about Achaleshwar Mahadev Temple in Achalgarh, Mount Abu City Sirohi District Rajasthan India. 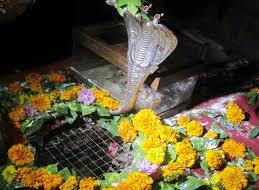 Darsan Dresscode: Devotees are advised to wear clean and conservative clothing. 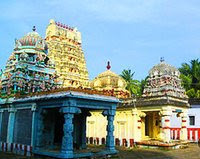 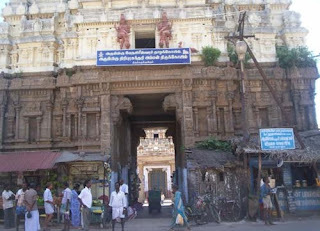 Popular for : the belief of the devotees that prayers here would lead to successful marriage of bachelors and spinsters. 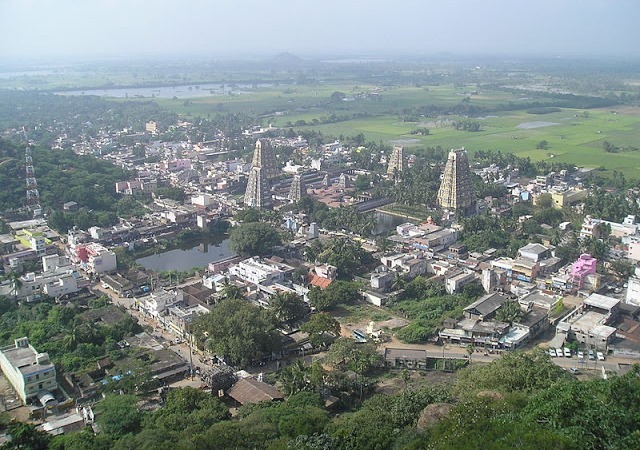 How to Reach by Rail: The Nearest Railway station is Abu road railway station (35 kms). How to Reach by Road: There are many public and private vehicles available to reach here and Mount Abu is connected many major cities. Achaleshwar Mahadev Temple is situated on top of a hillock, outside the fort of Achalgarh.The temple was built about 9th century and built by the Paramara dynasty, which is also credited with having constructed the original structure of the Achalgarh Fort, later reconstructed, renovated and named as Achalgarh by Maharana Kumbha in 1452 CE.The temple is dedicated to Lord Shiva. 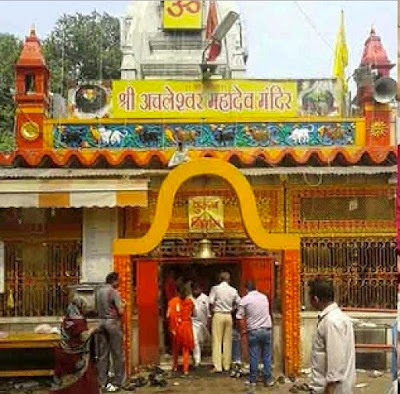 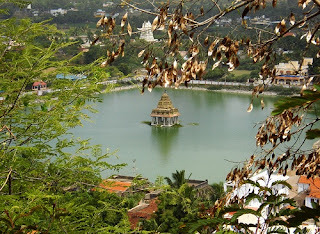 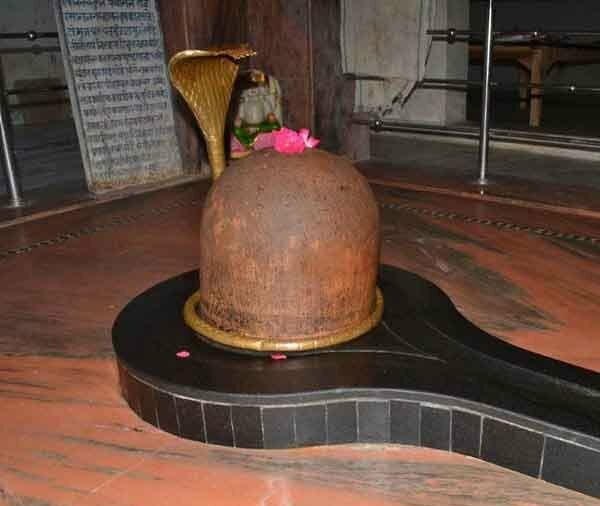 This is the only temple where Lord Shiva’s Toe is worshiped instead of the Shiv lingam. 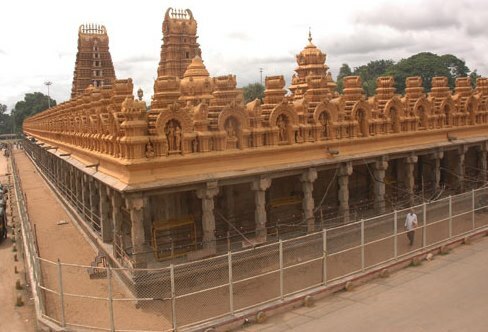 A huge pancha-dhatu sculpture of divine Nandi along with two large Buffaloes, made of large stone are installed in front of the temple. 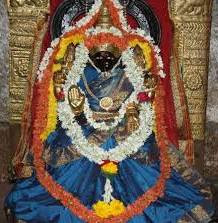 The alloy used in pancha-dhatu includes five metals namely gold, silver, copper, brass and zinc. 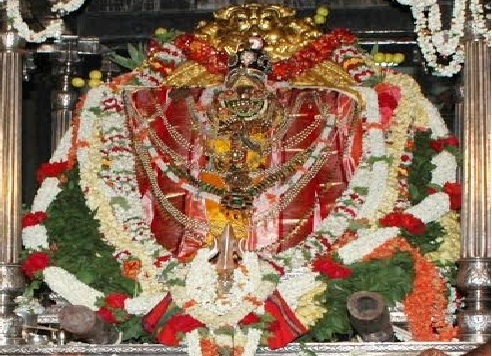 According to popular local legend, the statue of Nandi was credited to protect the temple from an attack of Muslim invaders. 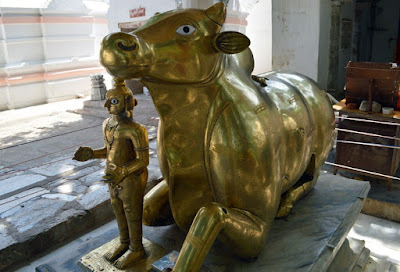 When invaders attacked temple the Nandi would protect the temple by releasing innumerable bumble bees towards the attackers thereby saving the temple from destruction. 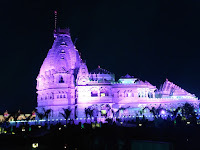 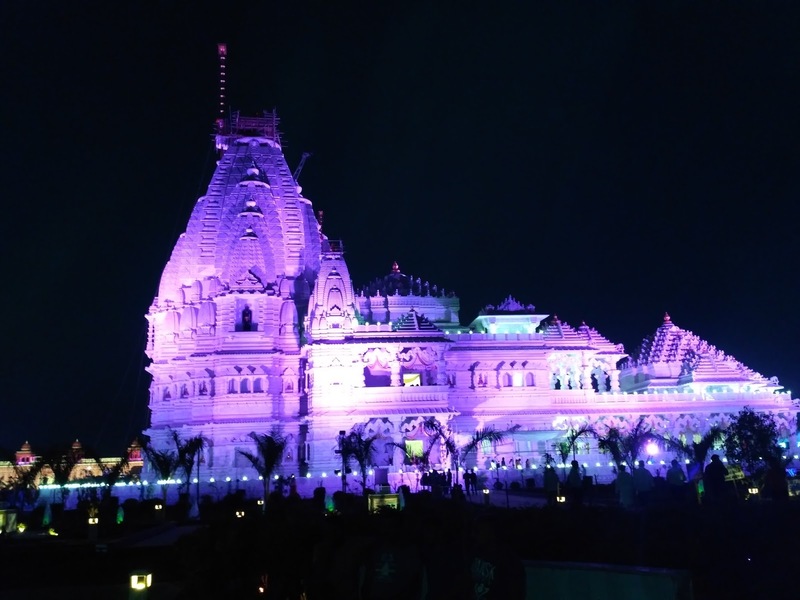 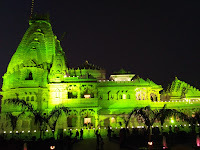 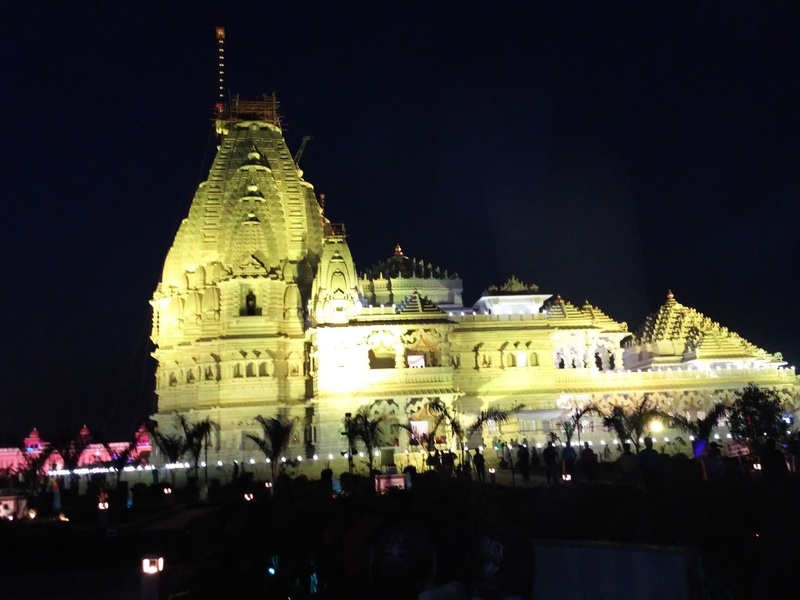 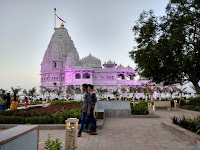 The temple also has several other idols which are sculpted from Sphatik, a quartz stone, which appears opaque in natural light but becomes crystal-like translucent when a light is held against it. 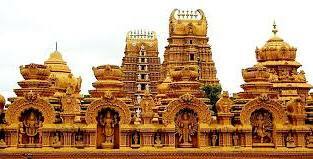 This Temple is the masterpiece work of the artisans of the ancient period. 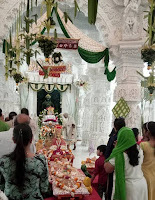 The Sanctum Sanctorum is built with blocks of marble.There is a 4 ton Panch Dhatu (made of five metals – gold, silver, copper, brass and zinc) idol of Nandi (the carrier of Lord Shiva) outside the Temple. 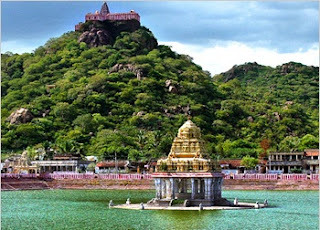 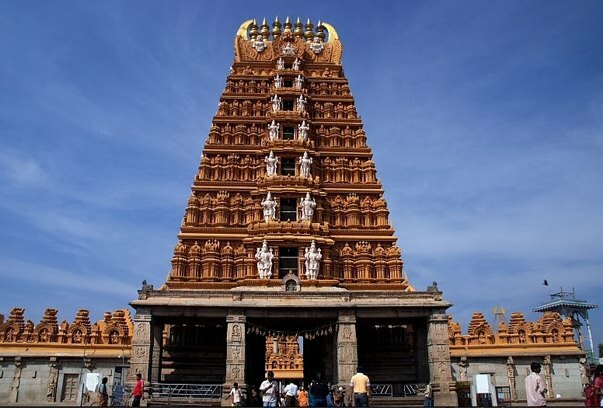 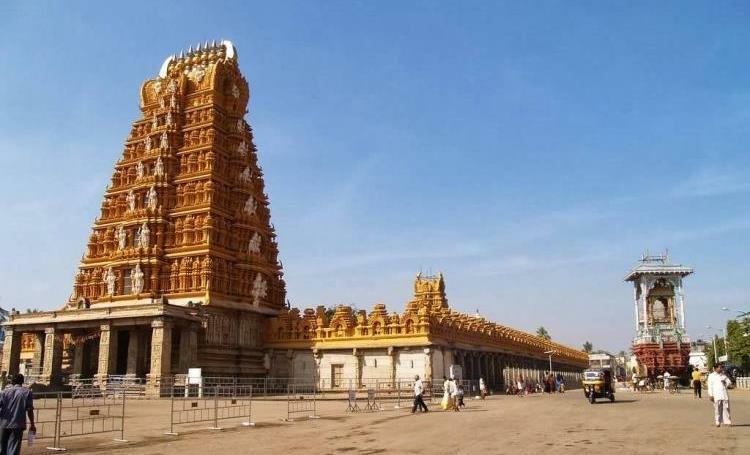 It is said that once Muslim invaders attacked this Temple and the Panchdhatu Nandi released millions of bubble bees to attack the invaders and saved the Temple. 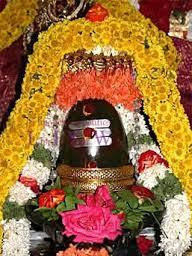 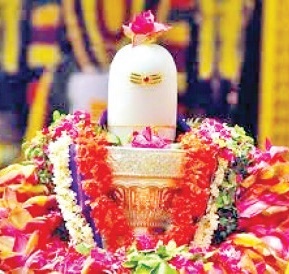 The Temple also has a natural Shiva Linga and many other sculpted idols made of a crystal like stone. 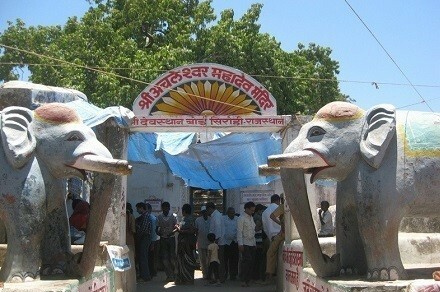 There are three stone buffaloes standing around a pond near the Temple. 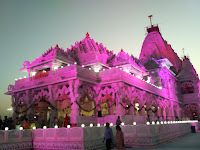 Here is Some Fact about Mani Laxmi Jain Tirth in Manej Village of Anand District Gujarat India. How To Reach By Air: The Nearest Airport is Vadodra(50 KM) and Ahmadabad(90 KM). 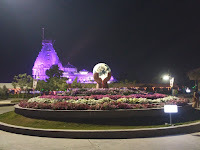 How To Reach by Rail: The Nearest Railway station is Anand Railway station. (30 KM). 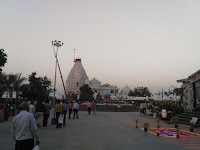 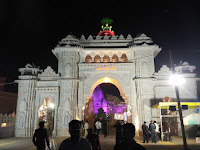 By Road: There are many public and private vehicals available to reach Mani Laxmi Tirth Manej. 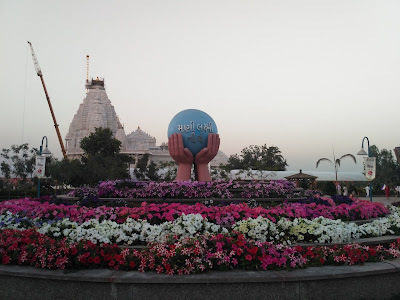 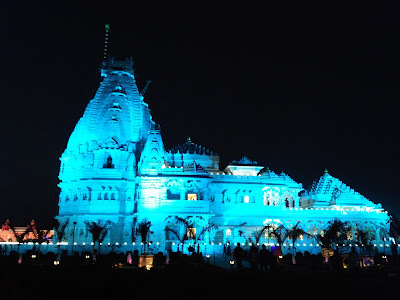 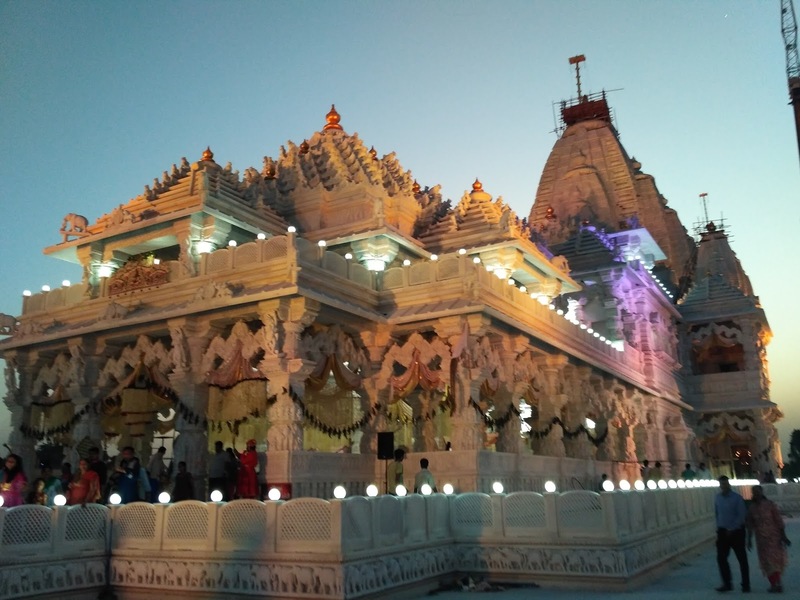 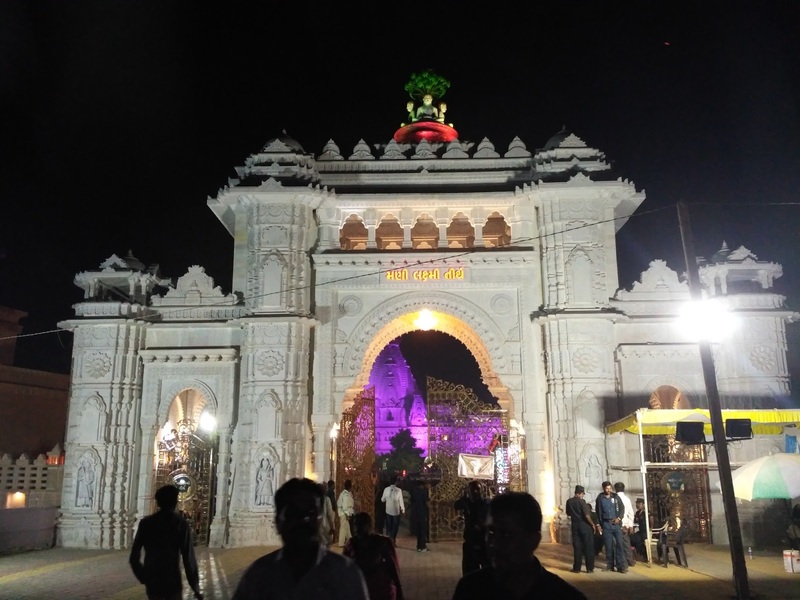 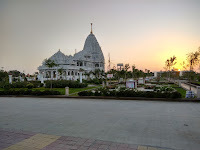 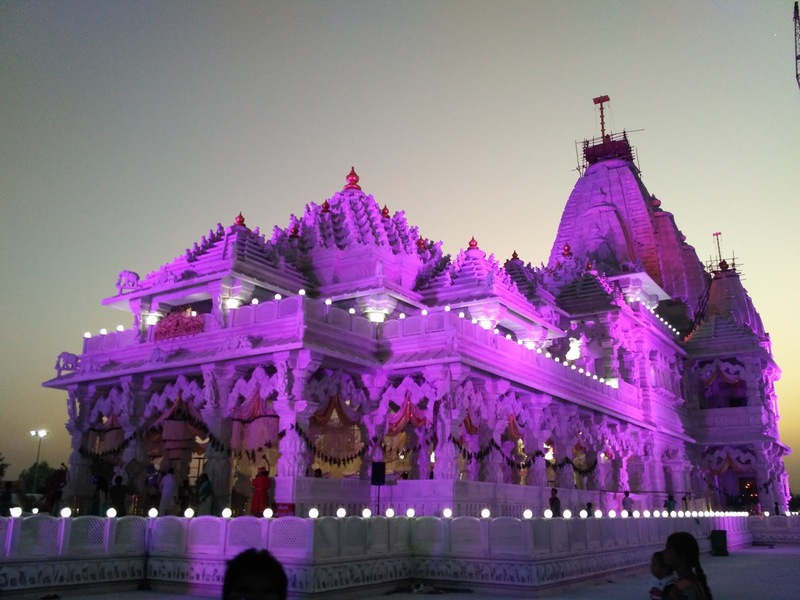 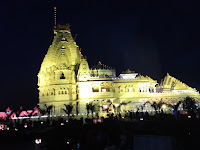 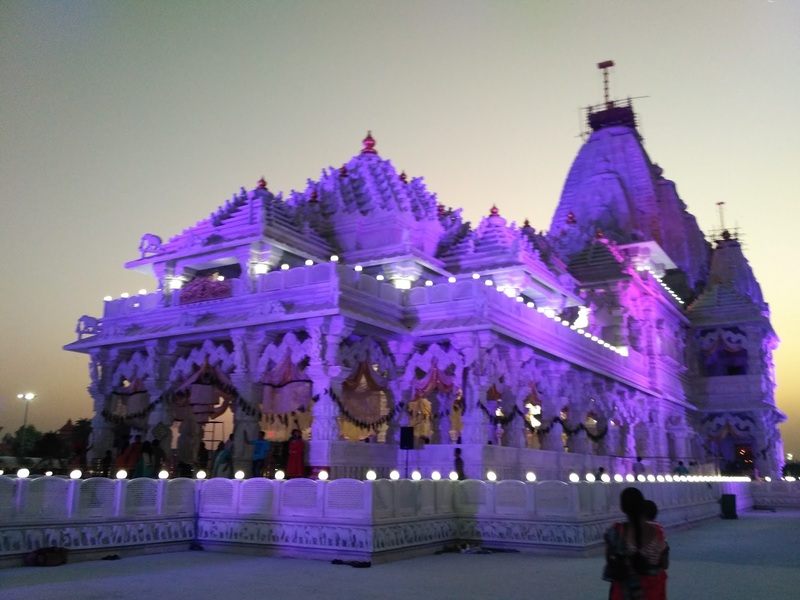 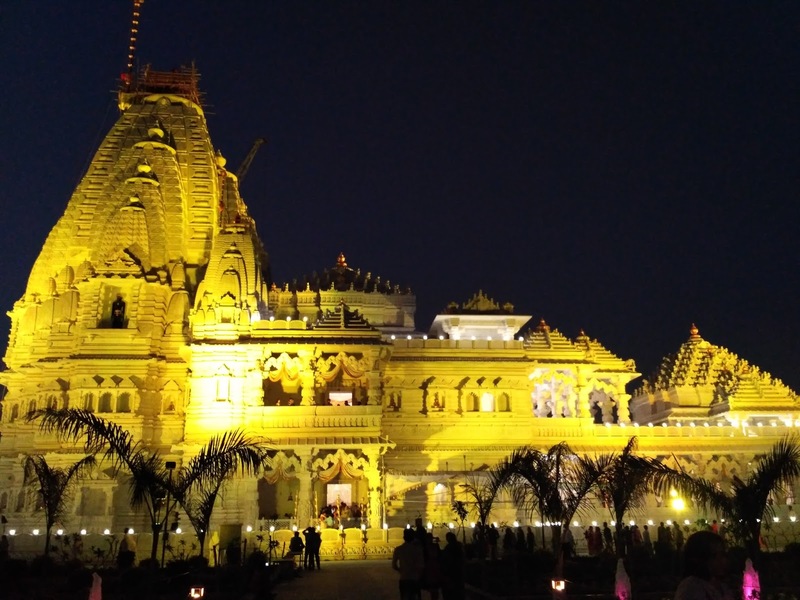 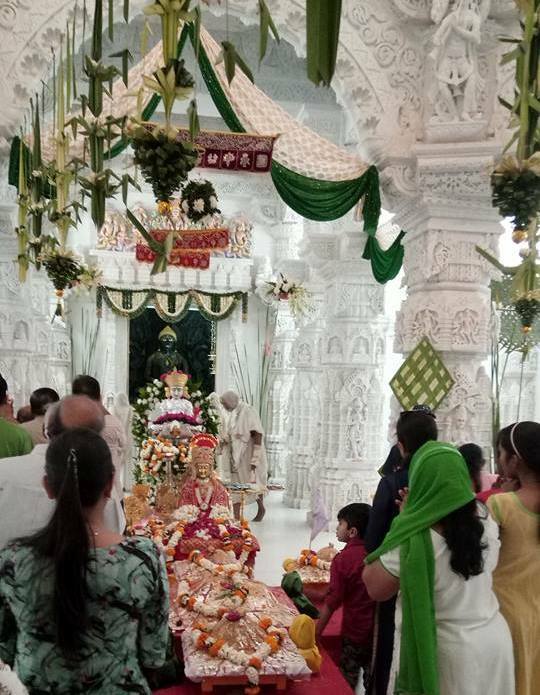 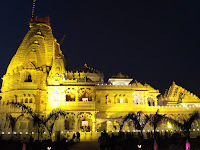 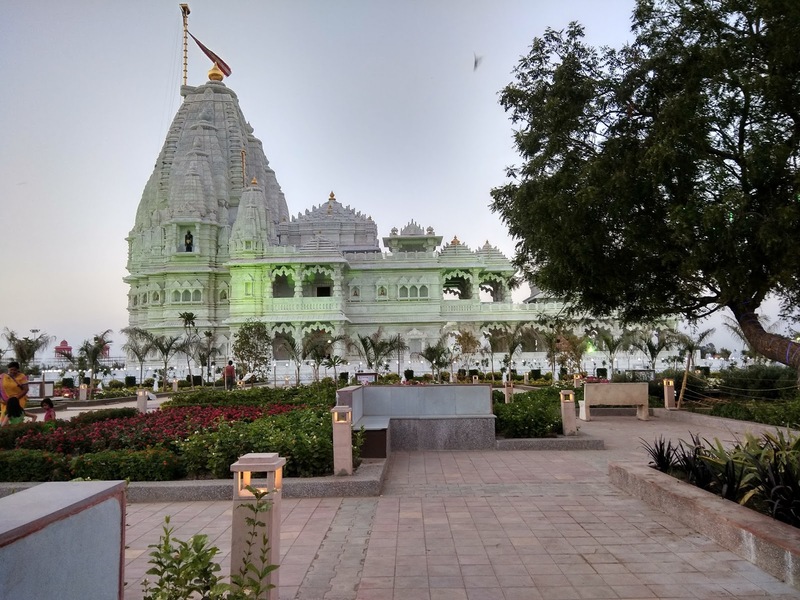 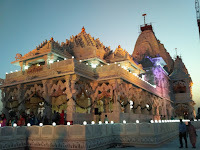 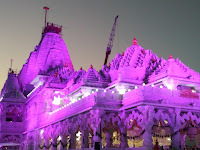 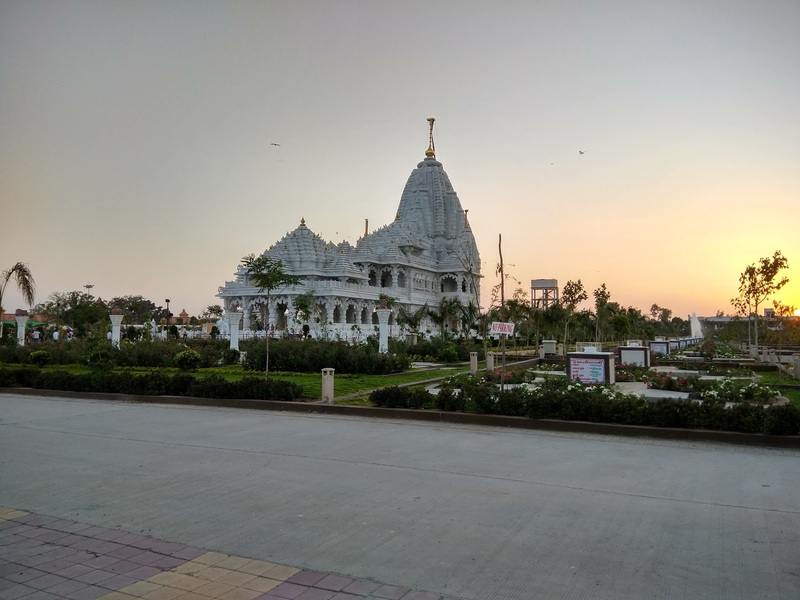 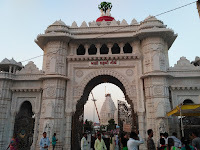 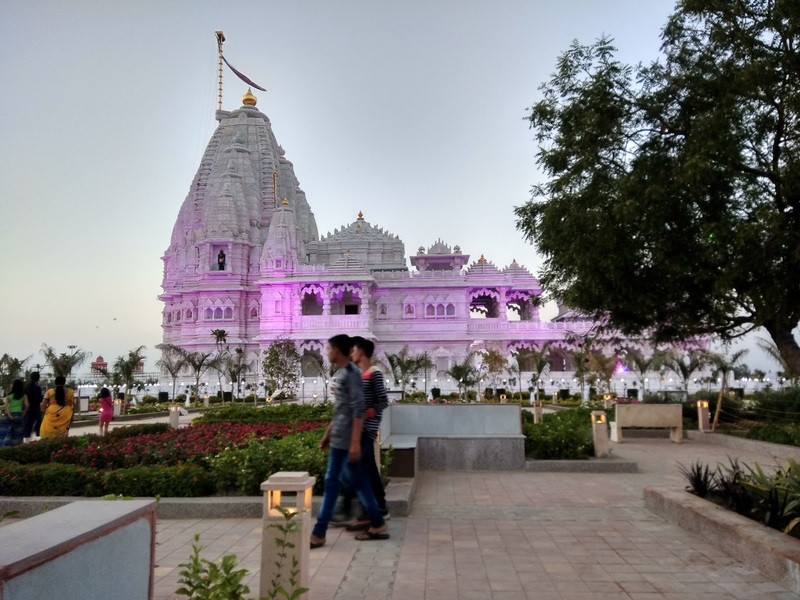 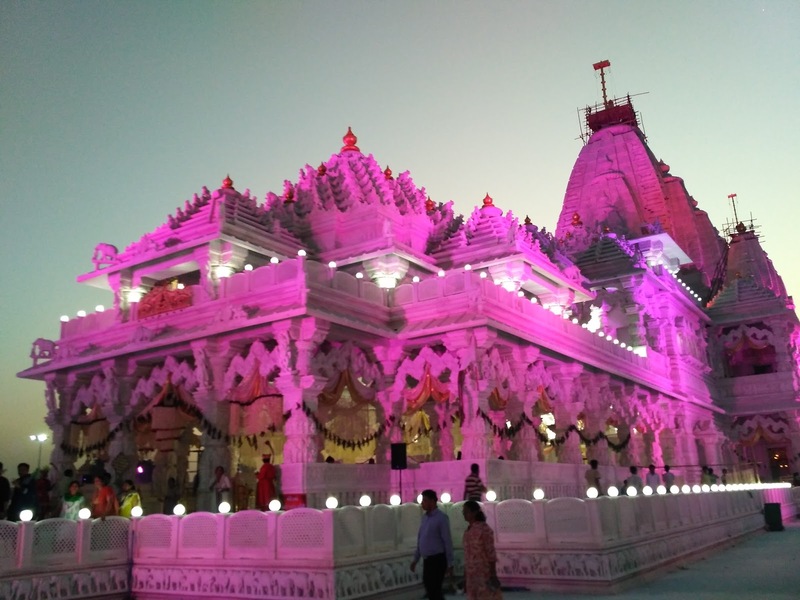 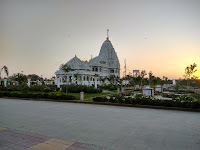 Mani Laxmi Jain Tirth is beautiful temple located at Manej Village Anand District of Gujarat India.The Temple is situated near Dharmaj Jalaram Tirth on NH highway no 8.The beautiful Temple was built start in year 2009 and completed in 2017 and it managed by Shah Lxmichand Cheritable Trust ,Thaliya Nagar Manej .The temple is looking very attractive In the evening time because it is decorated with thousands of lights with different colors.Temple Main Gate is looking Very beautiful.Large numbers of people come here during Pran pratistha mahotsav. Mani Laxmi tirth is one of the most beautiful pilgrimage site of the Jains in India and most famous in the world for its unique architecture. 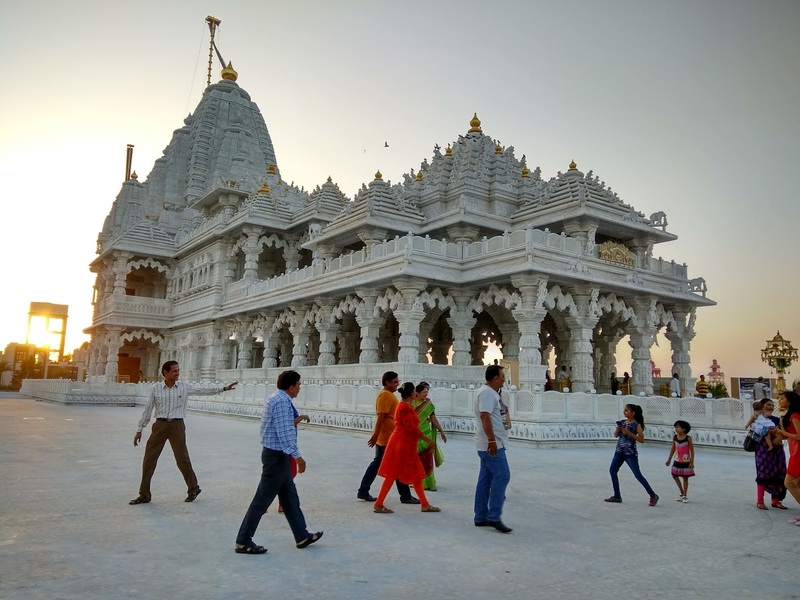 The temple is build by white marble and coounted among one of the finest monuments in Gujarat.Don't for gate visit this holy amazing Tirth.